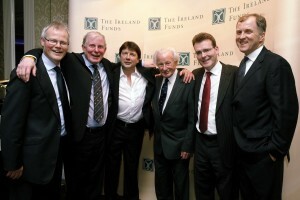 The Managing Director of PMCA Economic Consulting – Dr. Pat McCloughan – is delighted to support the Ireland Funds, a worldwide organisation making a very valuable contribution to the lives of people throughout the island of Ireland. 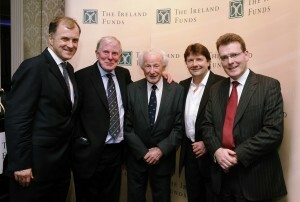 He attended the special rugby luncheon hosted by the charity organisation at the Shelbourne Hotel on 11 February 2011. Pictures from the event are shown below. 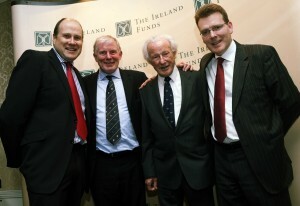 L-R: Former Ireland rugby internationals Hugo MacNeil and Chairman of the Ireland Funds, Ollie Campbell, Jack Kyle and Terry Kennedy; and Dr. Pat McCloughan of PMCA.